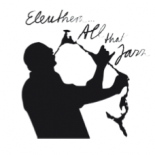 Eleuthera…All That Jazz – A magical jazz long weekend on the beautiful out-island Eleuthera, The Bahamas. The concerts will take place in the Governor’s Harbour area – next years festival dates are the April 10th-14th 2019. This entry was posted on December 15, 2016 by eleutheraallthatjazz in Eleuthera All That Jazz and tagged 25th March 2015, 25th-29th March 2015, bahamas, CHRISTOPH "STOFFI" STEINBACH, clinton crawford, daniel roy, destination jazz festivals, Dion Turnquest, don bouchat, Eleuthera, eleuthera all that jazz, eleuthera all that jazz 2015, Eleuthera all that jazz festival, govenors harbor, Haynes Library, holiday ideas eleuthera, hotels eleuthera, houses to rent eleuthera, hut pointe inn eleuthera, jonny schutten, Jordan Jackiew, julian bradford, Kevin Dean, Lamont “Shorts” Gibson, Lamont Gibson, laughing bird apartments eleuthera, music Bahamas, music festival bahamas, music festival eleuthera, music festival in the bahamas, music holidays, naomi taylor, pineapple fields eleuthera, pineapple fields hotel, rainbow inn eleuthera, ralph munnings, rentals eleuthera, Rodney Simpson, sky beach club Bahamas, sky beach club eleuthera, steve oliver, Tarpum Bay Festival, Taylor Brother, the cove eleuthera, things to do on eleuthera, tippy’s eleuthera, tropical jazz festivals, unique village eleuthera, Valentino Richardson, walle larsson, walle larsson band, where to stay in govenor’s harbour, where to stay on eleuthera.